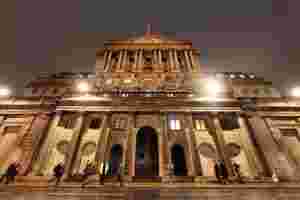 London: Evidence shows that quantitative easing does support the economy and there is no reason to believe that it feeds directly into inflation without supporting growth, Bank of England policymaker Martin Weale told Sky News on Sunday. “The work that the bank has done on the issue has suggested quantitative easing does support the economy," he told the broadcaster. “But I have not heard anyone suggesting that quantitative easing actually inhibits the growth of the economy, that it fails to provide support. “Some people have suggested that it translates fairly directly into inflation without supporting economic growth, and I can’t see any reason why that should be the case, I haven’t heard of a convincing mechanism why that should be the case." The BoE voted on Thursday to buy £75 billion more in assets to shield Britain’s economy from the euro zone debt crisis and keep the faltering recovery going.